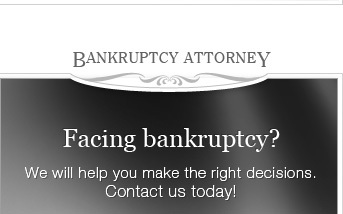 No one wants to face the prospect of filing for bankruptcy; this can be a difficult but necessary decision. Thankfully, the social stigma surrounding bankruptcy no longer exists, and many individuals and business owners are taking advantage of the opportunity to get a fresh start that are offered under federal bankruptcy laws. At The Law Offices of Khachik Akhkashian, we are committed to helping our clients find the best solution available for their financial difficulties, and in implementing the solution so that they can move forward free from the ongoing stress and anxiety brought about by crushing debt. The firm can help you resolve the issues surrounding bankruptcy, whether chapter 7, chapter 13 or chapter 11, as well as advise you of the possible alternatives to bankruptcy that could allow you to get your financial difficulties under control and resolved. The first step in filing chapter 7 is the means test, which evaluates your current financial situation to determine if you are eligible to discharge your debt. If you don't qualify, you have the opportunity to file chapter 13, which gives you the time (3 - 5 years) to pay off your back obligations. The advantages are enormous if you qualify for chapter 7, as you have the opportunity to discharge debts such as credit card bills, medical bills and others that are consuming the income you need to survive and care for your family or manage other aspects of your life. There are other potential legal actions that could allow you to resolve the problem without filing bankruptcy, including getting our assistance with debt settlement, debt negotiation, and other legal actions to get debt relief. Some creditors violate the law and engage in creditor harassment, and we can evaluate your case and take action in those situations when they have viol ated the Fair Debt Collections Practices Act. If you are facing repossessions, when we get involved, we can often bring these issues to a halt and take legal action, whether in a bankruptcy or other action, to help you avoid the loss of your personal possession. If you are underwater on your mortgage, it may be possible for us to assist you in arranging a short sale or deed in lieu, and if there has been any violation of your rights, whether in the initial sale of the mortgage or in documentation or other legal issue, we can fight back and help you in a foreclosure defense. We serve clients throughout Glendale, and can assist with bankruptcy in Montrose, and bankruptcy in La Crescenta as well as the surrounding areas. Our firm is also very active in resolving all immigration issues, including helping our clients with immigrant visas, non-immigrant visas, guiding them through the process of applying for citizenship, getting green cards of all types, including family based green cards, employment based green cards, and all types of visas including marriage and fiancée visas. Those who are facing the danger of deportation/removal should engage our services immediately, as you are at risk of being denied the opportunity to share your life with your relatives and friends in the USA. We serve those who need qualified legal representation with immigration in Montrose as well as immigration in La Crescenta , and the all the surrounding communities. 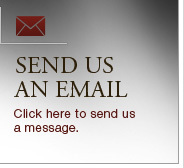 Contact a Glendale bankruptcy lawyer or Glendale immigration attorney from our firm for immediate legal assistance in either financial or immigration issues.